Jane Norman Beazley, the Philadelphia native and Temple University graduate who starred as "Pixanne" on the sixties-era WCAU-TV children's show, died Saturday at her home in Bala Cynwyd at the age of 83. A native of East Oak Lane, Norman's ability as an actress, singer and composer were apparent from a young age. She graduated from Olney High School and went on to receive a degree from Temple in early childhood education, with a minor in television and radio, according to her official website. In 1960, after four years as a teacher at Cheltenham's Shoemaker School, Norman began pitching her concept for a kid's show to local stations, garnering interest from then-CBS-owned WCAU, which is now NBC10. 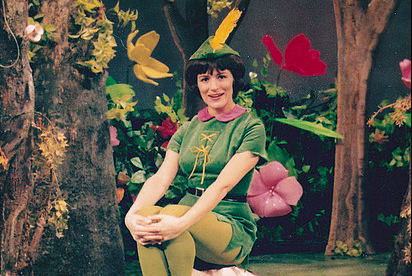 "Pixanne," a whimsical, Peter Pan-themed variety show, quickly became a phenomenon and received national syndication. The award-winning program remained on the air for 17 years. Norman's popularity and talent took her coast to coast in the United States, starring as a cabaret singer, theater performer and touring speaker behind her acclaimed book, "The Private Life of the American Teenager." She was inducted into the Broadcast Pioneers Hall of Fame in 2005. I took my final 'flight' on May 13th, 2017. I want you to know how much I enjoyed being with you, entertaining you and sharing special magic moments with you for so many wonderful years. I hope I was able touch your lives in some small way, as you touched mine. I hope I was able to bring you joy and happiness when you needed it most. The cause of Norman's death was not immediately known. She is survived by her son, Richard Norman, her stepson Peter Beazley and several step-grandchildren and great-grandchildren.